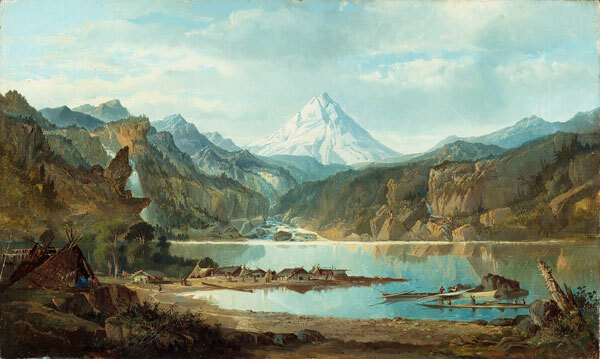 Painting by John Mix Stanley, “Mountain Landscape with Indians,” ca. 1847-1853, Detroit Institute of Arts. Our sole depiction of a traditional Chinookan village. Mt. Hood in the background; somewhere in the Columbia River Gorge. Welcome to my website! For forty years I have been researching and writing about the early history and traditional cultures of the Native American peoples of the Pacific Northwest. This website is an introduction my research and the books that have resulted from it. I look forward to sharing this information with you.